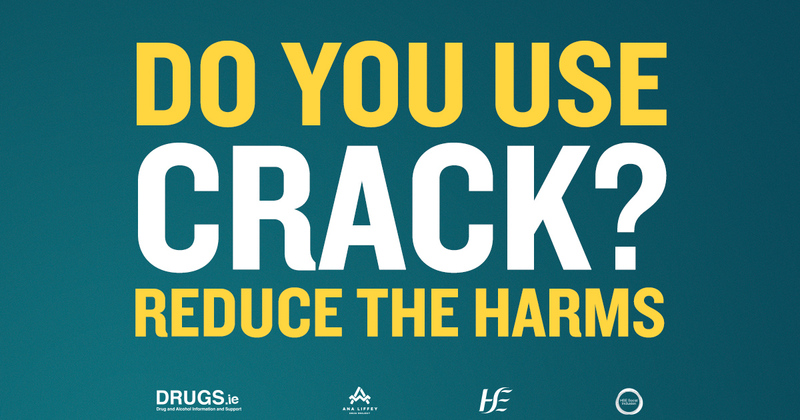 In response to an increase in the use of cocaine powder and crack in Ireland, the Ana Liffey have partnered with the HSE Office of Social Inclusion to produce information and harm reduction resources for people who use drugs and healthcare professionals. can be ground down until the powder is very fine, divided into lines and snorted by using a straw/tooter. Dabbing “gumming”: Cocaine powder can be consumed by rubbing it onto the gums or by leaving it under the tongue. It is less commonly consumed in drinks or by swallowing orally. pipes created from tin cans and water bottles is not recommended. People are advised to contact local addiction services to access approved pipes, if available. groups, cocaine is sometimes injected in conjunction with heroin in what is known as a ‘speedball’. Think about your health - Avoid using if you are feeling low, experience mental health problems, high blood pressure, a heart condition or become pregnant. failure. It is possible for cocaine users to die from an overdose. With stimulant type drugs, the risk of overdose increases with the amount used. The risk of overdosing is also increased if cocaine is mixed with other drugs or alcohol. An overdose on cocaine is more likely if cocaine is injected. When cocaine and alcohol are used together they combine in the body to produce cocaethylene which increases risk of damaging organs such as the liver and heart. Cocaethylene is more toxic than cocaine and alcohol alone and produces a greater increase in heart rates and blood pressure. Cocaethylene prolongs the effects of cocaine and takes longer to leave the system than cocaine alone. When using both alcohol and cocaine in combination, people risk continuing to drink without realising how intoxicated they are. Cocaethylene increases the risk of epilepsy, suicide, violence, accidents and sudden death. Be aware of your use - Take breaks in between use to give yourself some time to recover. Consider talking to a professional if you are finding it difficult to stop using cocaine. Concerned about your cocaine use? Take the DUDIT Online Self-Assessment tool to identify the impact of your use. 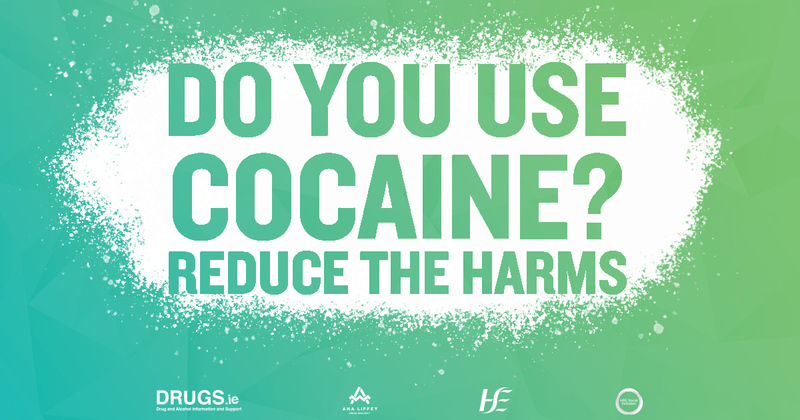 For information and support on drugs and alcohol visit Drugs.ie The HSE Drugs & Alcohol Helpline can be reached on 1800 459 459 Monday – Friday 9:30 – 5:30. The campaign was launched by the Minister of State for Health Catherine Byrne, in The Royal Hibernian Academy, Dublin on July 17th 2018.